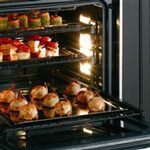 Remarkable Versatility with multiple cooking options create four ovens in one (SpeedCook, True European Convection, Sensor Microwave, and Warming Ovens) to bake, broil, brown, roast and warm and proof foods. 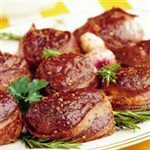 SpeedCook Technology utilizes a halogen light system combined with microwaves to SpeedCook your favorite foods to delicious perfection in minutes, with no preheating. The Wall Ovens 1.6 cu. ft. 27" Built-In Single Electric Wall Oven with Glass Touch Controls by GE Monogram at Jordan's Home Furnishings in the New Minas, Halifax, and Canning, Nova Scotia area. Product availability may vary. Contact us for the most current availability on this product. 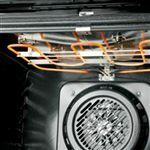 Total Oven Capacity 1.6 Cu. Ft.
Get going on your next culinary masterpiece thanks to GE Monogram®'s line of wall ovens. Built right into the wall, the ovens meld in seamlessly with surrounding cabinetry for a modern, clean design aesthetic. 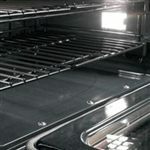 Furthermore, the ovens are offered in Professional and European styling to match your tastes and design plans. Features of the line include but are not limited to: Hidden baking elements, reverse-air convection, electronic controls, and more. Choose the right unit to satisfy your unique needs and get cooking today! The Wall Ovens collection is a great option if you are looking for Appliances in the New Minas, Halifax, and Canning, Nova Scotia area. Browse other items in the Wall Ovens collection from Jordan's Home Furnishings in the New Minas, Halifax, and Canning, Nova Scotia area.